How to add YouTube content to my social wall? The YouTube API only gives us access to public content. If, for example, a playlist or a video is private, we will not be able to display that content on your social wall. 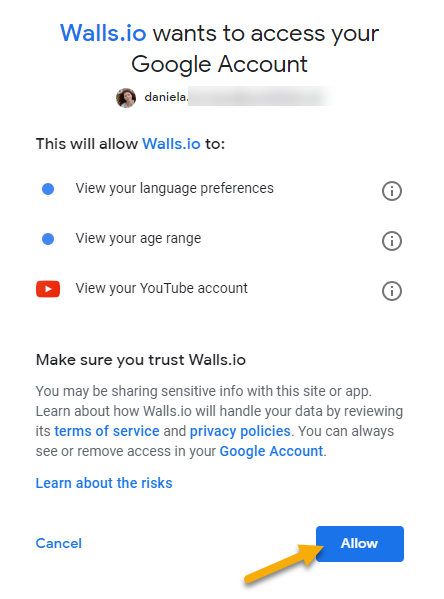 To add a YouTube profile, keyword or playlist as a source to your social wall, you first need to connect your Google account to Walls.io. To do that just go to Settings > Sources in your Walls.io dashboard, select YouTube and click connect. You will get the option to select between a personal or a brand account (if you have one). Select the one you want and click "Allow" to give Walls.io all the necessary permissions. This is something you only need to set up once. 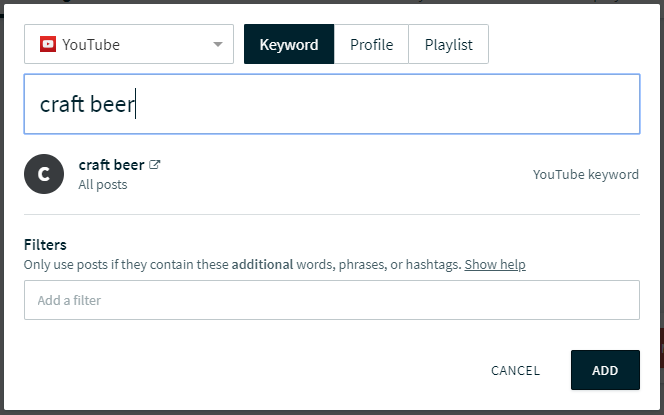 To add YouTube keyword sources to your social wall go to Settings > Sources in your Walls.io dashboard and select YouTube > Keyword. 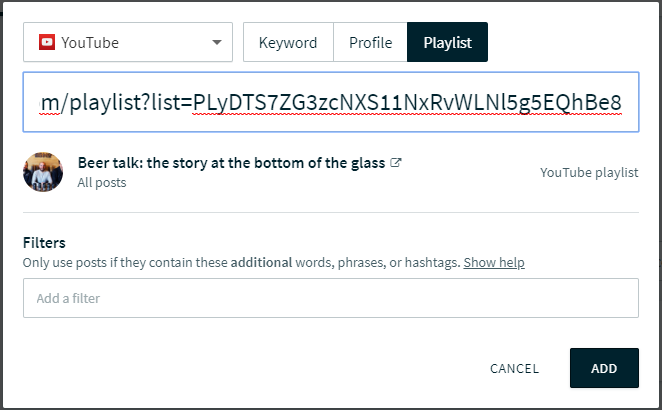 Add the keyword you would like to pull content for and click "ADD". To add YouTube profiles as sources to your social wall go to Settings > Sources in your Walls.io dashboard and select YouTube > Profile. Add the profile URL you would like to pull content from and click "ADD". To add YouTube playlists as sources to your social wall go to Settings > Sources in your Walls.io dashboard and select YouTube > Playlist. Add the YouTube playlist URL you would like to pull content from and click "ADD". 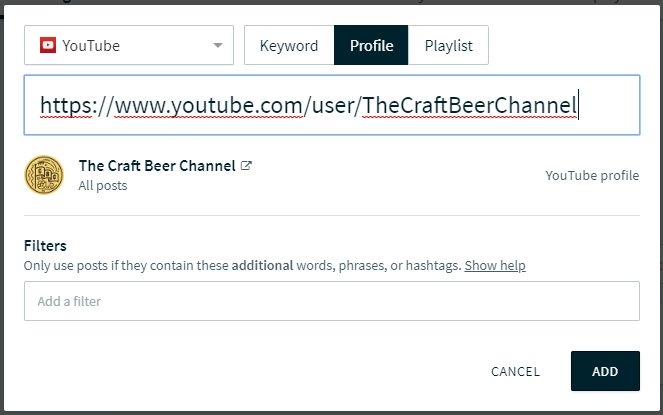 You can add content filters for all the YouTube sources if you want to refine the content we collect and display on your social wall.